There are a few new faces at Potter Park Zoo this winter! 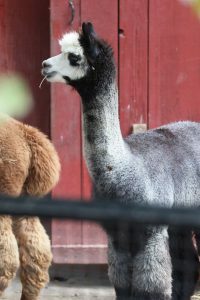 Three Huacaya alpaca now call the zoo home and the zoo staff have already grown attached to these adorable even-toed ungulates. 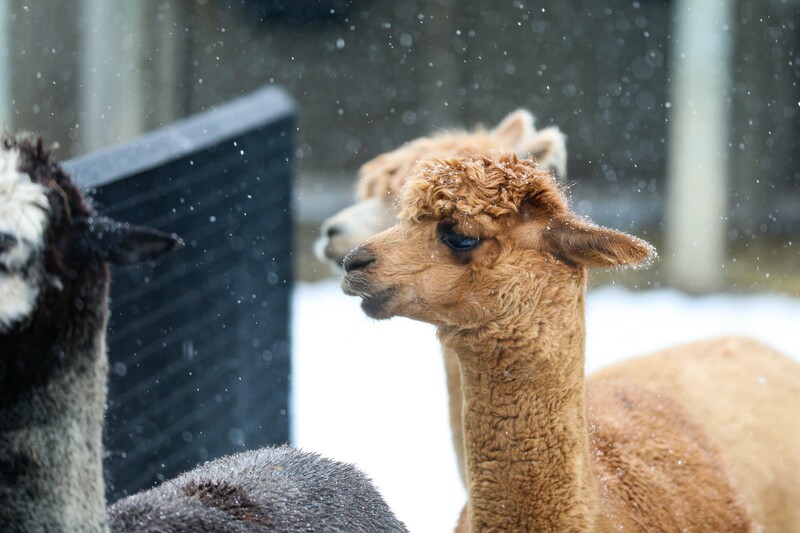 The three Huacaya alpaca, Junior, Prestige and Image, join the herd of three Suri alpaca who came to the zoo in February of 2018. 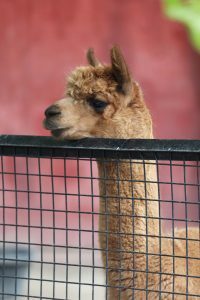 Alpaca are members of the camelid family and are related to camels, llama and vicuna. 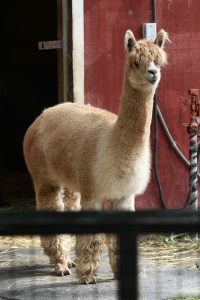 “We are excited to introduce our zoo guests to two different kinds of alpaca. 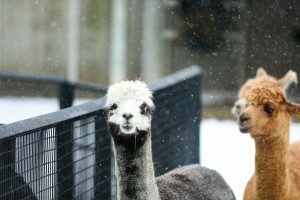 This marks the start of our farmyard transition to heritage livestock,” said Potter Park Zoo General Curator Sarah Pechtel. 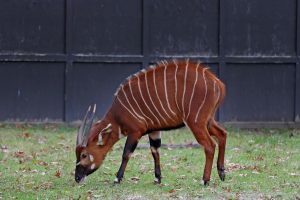 The zoo also recently welcomed Uzuri, an adorable 2-year-old eastern bongo. Uzuri traveled from John Ball Zoo in Grand Rapids, Michigan to join our 10-year-old adult bongo Bella. This critically endangered species is a herd animal and the zoo staff is very happy to have a group of two females together at the zoo. The bongos will not be visible until the temperatures increase in early spring. “Winter is a great time to visit Potter Park Zoo. Many species are their most active in the colder winter weather, and it’s a great time to see the new Huacaya alpaca and other species like the moose and river otters. We’re open 364 days a year and through March 31 admission is $3 for adults and $2 for children,” said Cindy Wagner, Potter Park Zoo Director.